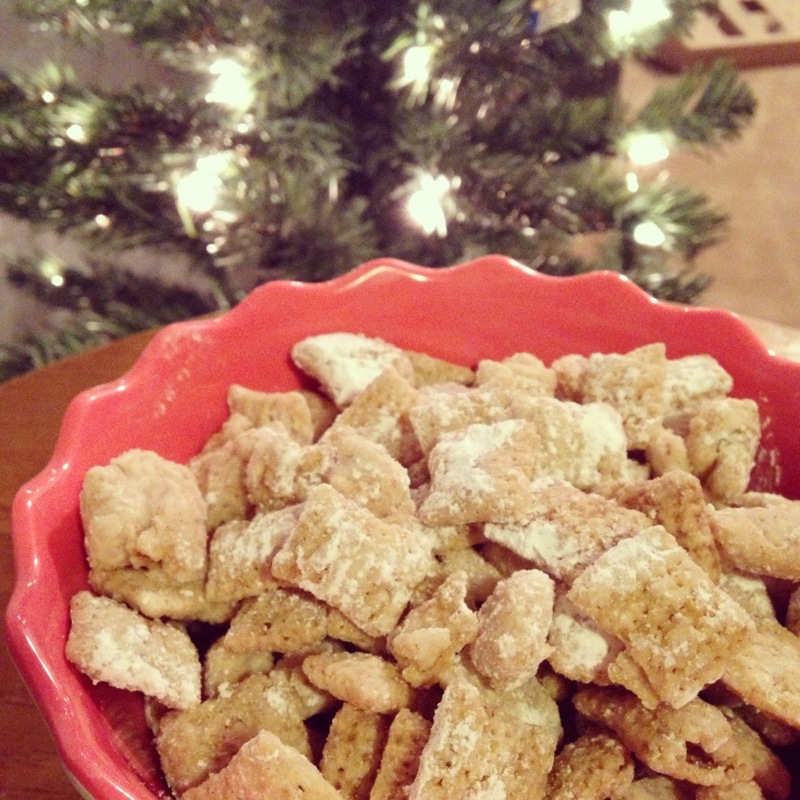 Add a Christmas morning twist to the classic Muddy Buddy / Puppy Chow treat with this sweet cinnamon mixture. The cinnamon cereal and vanilla coating make for an addictive snack that everyone will rave about at your next holiday party! 1/2 cup canned vanilla frosting. Place Chex and pecans in a large bowl and set aside. In a microwave-safe bowl, mix together frosting and Frosting Creations packet. Add vanilla almond bark and microwave in 20 second increments, stirring in between, until melted and smooth. Don’t over do it because it will become too thick. Pour over Chex/pecans and use a spatula to gently stir until coated. Pour cereal into large Ziploc bag and add powdered sugar. Seal and shake until cereal is fully coated. If needed, break apart frosting clusters and add more powdered sugar and shake until all pieces are coated. Pour onto a baking sheet covered with wax paper to cool.